Every month we are pleased to present you our products. Experience, current state-of-the-art production processes and skilled employees combined with innovations ensure high-quality products. 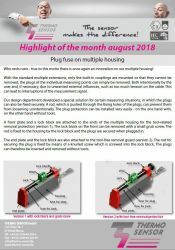 If you wish to have more detailed information about our Highlight of the month we will be pleased to send you an e-mail.